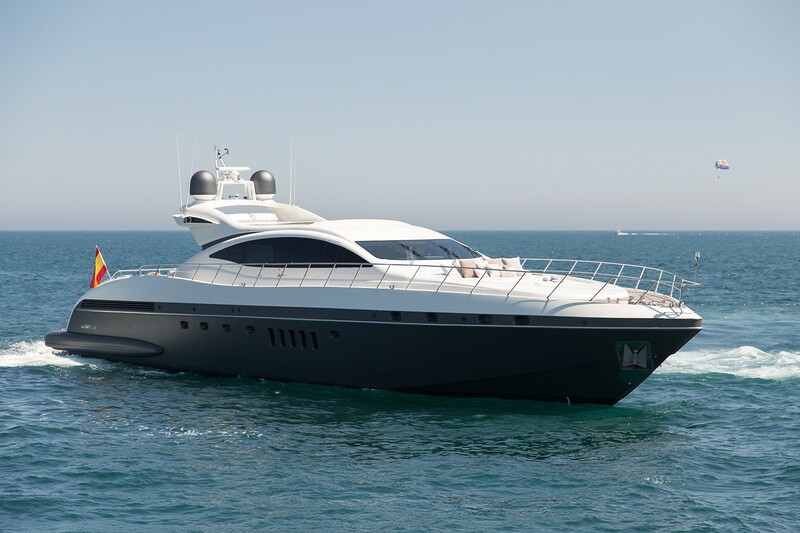 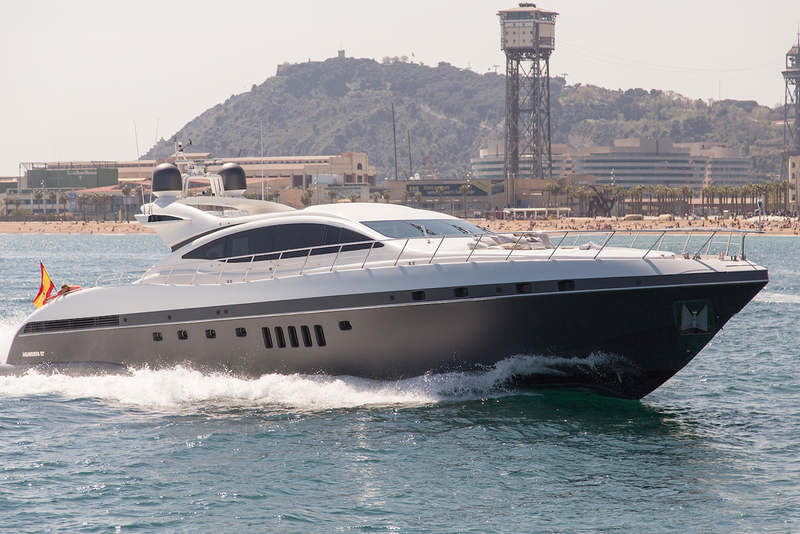 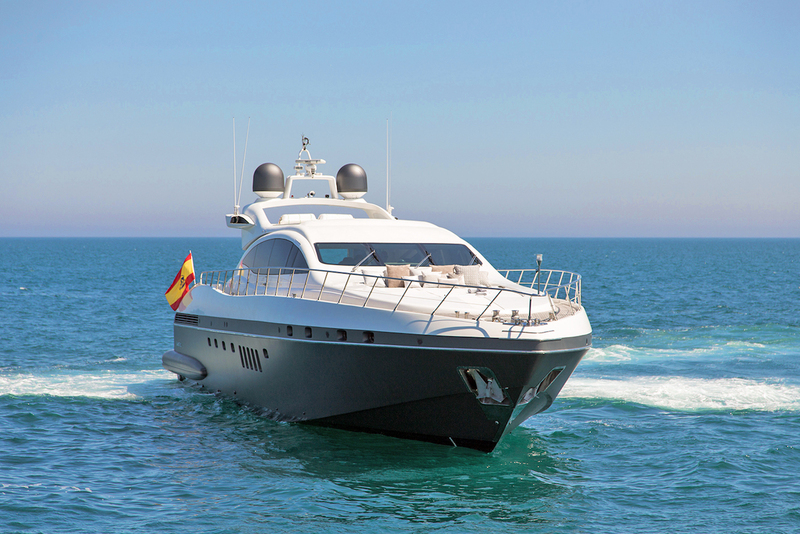 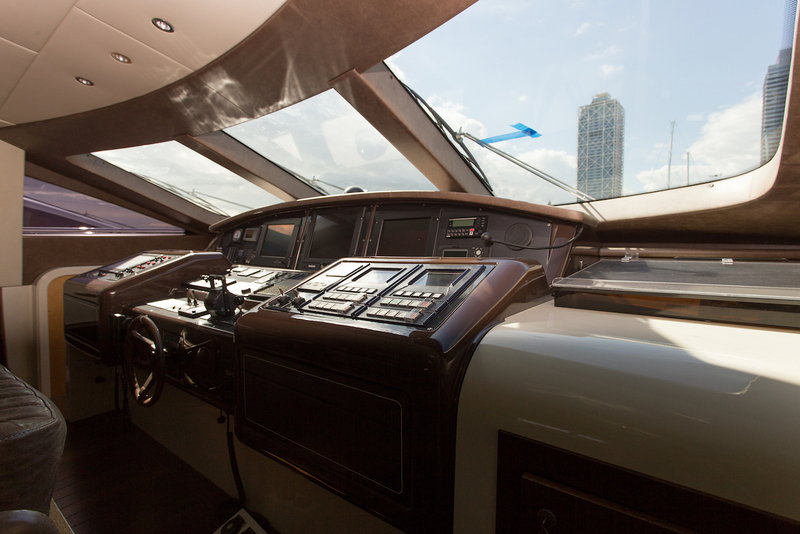 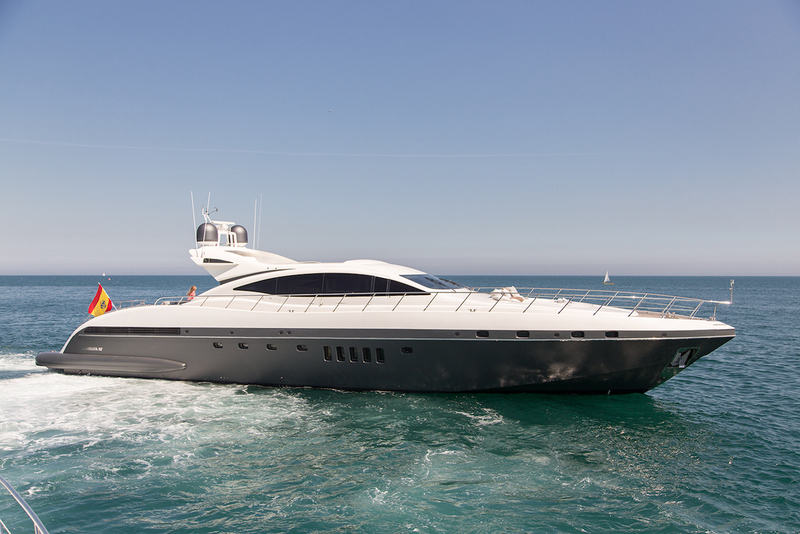 Motor yacht FIVE STARS measures 28.05m (92') and was built by the Italian shipyard Mangusta. 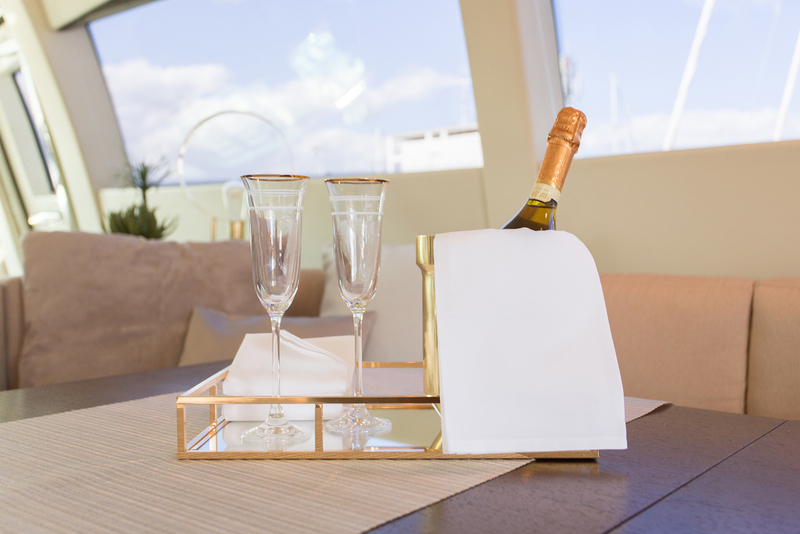 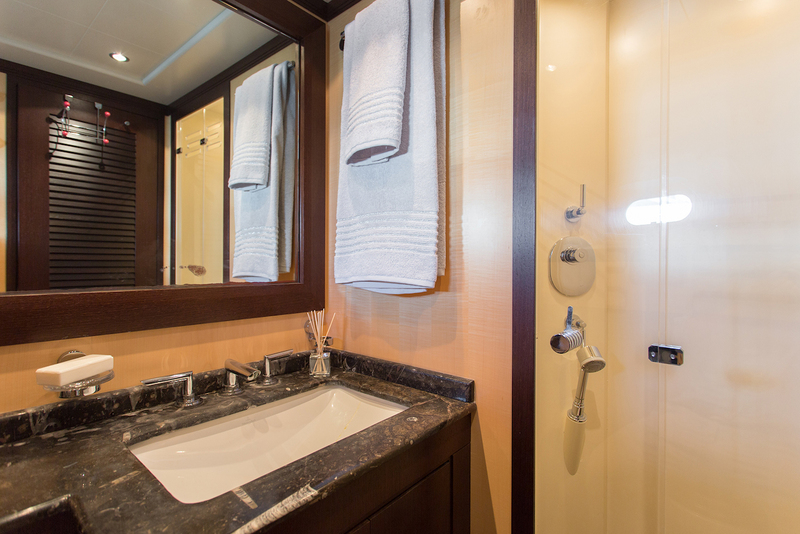 Launched in 2006, she was refitted and re-launched in 2017 now offering modern and luxurious interior and exterior spaces, accommodating up to ten charter guests in five cabins. 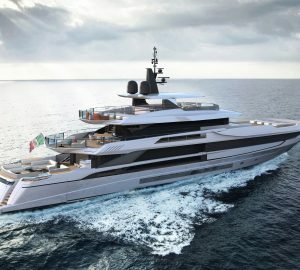 She has a crew of 3. 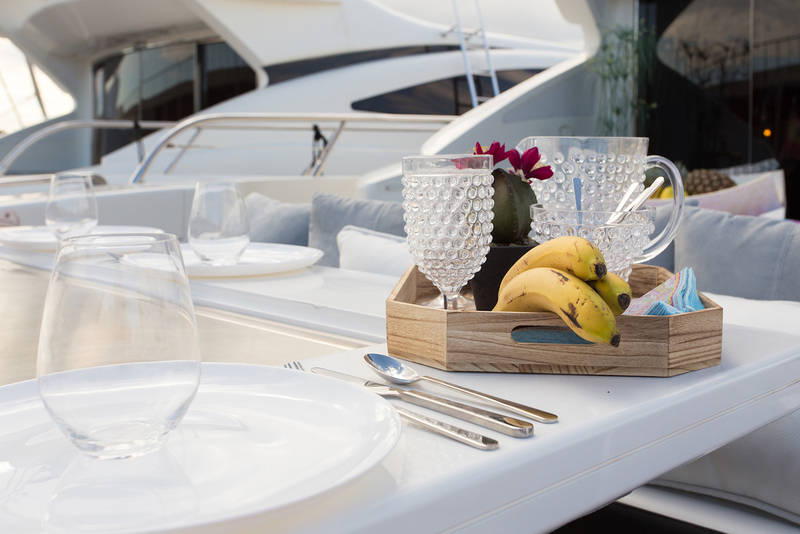 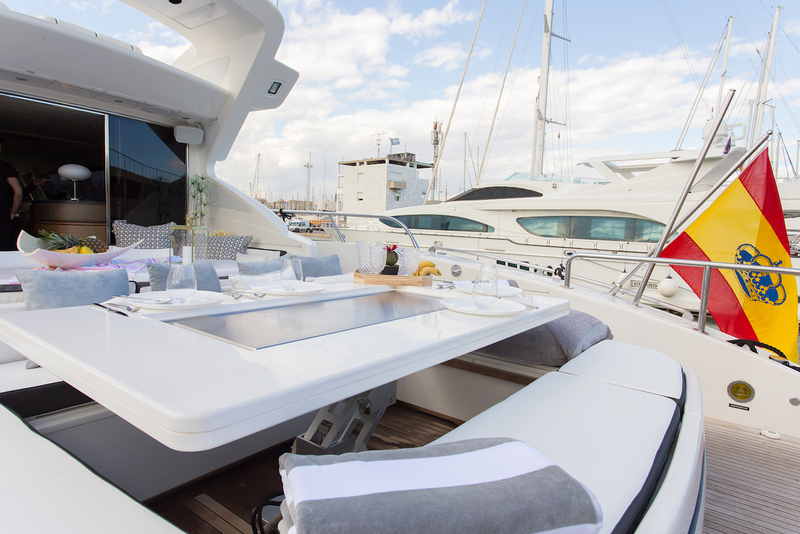 Guests have easy access to the tenders via the lower deck platform, which connects up to the main deck aft. 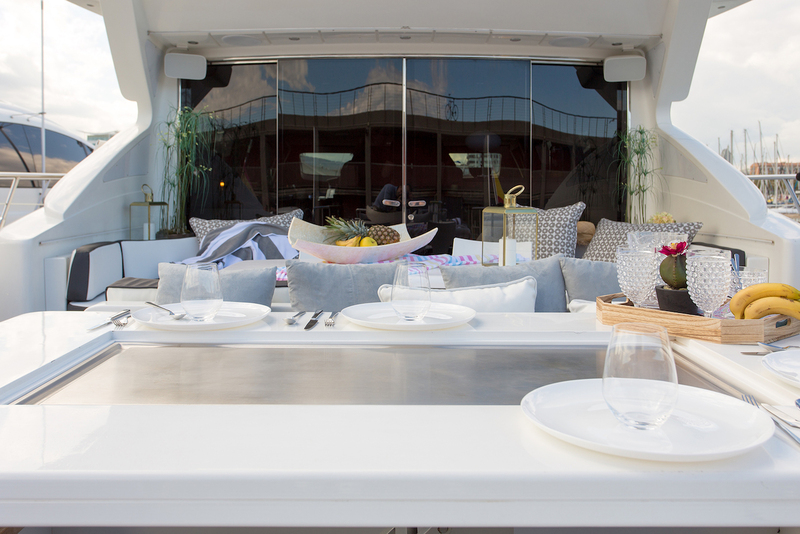 Here, there is a broad sun pad that can be converted into an alfresco dining area with a raised table coming out of the centre. 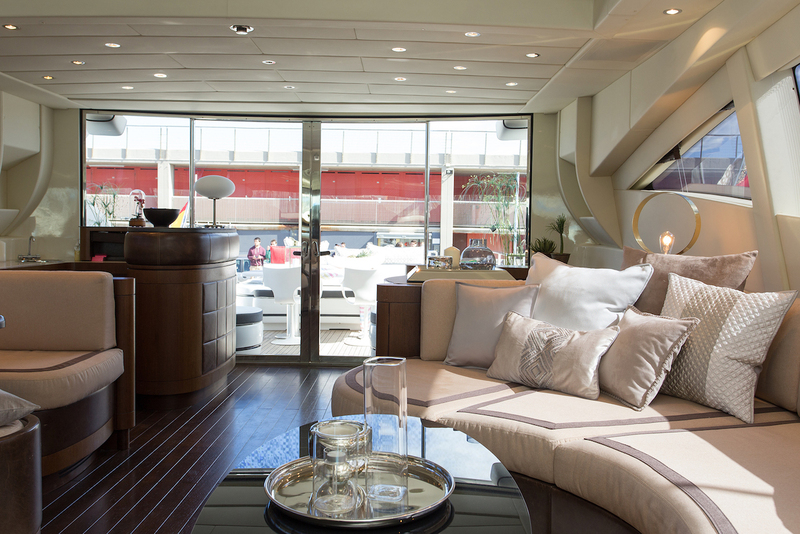 Under the cockpit, guests have a choice of armchairs and integrated sofas. 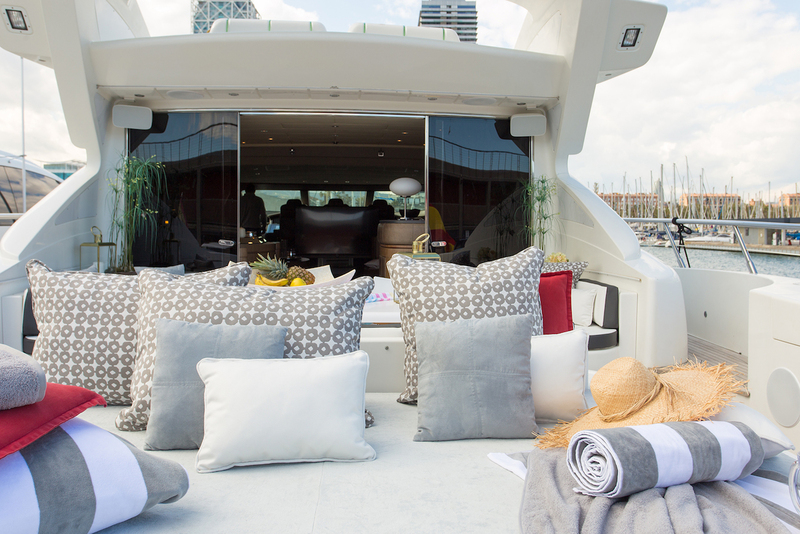 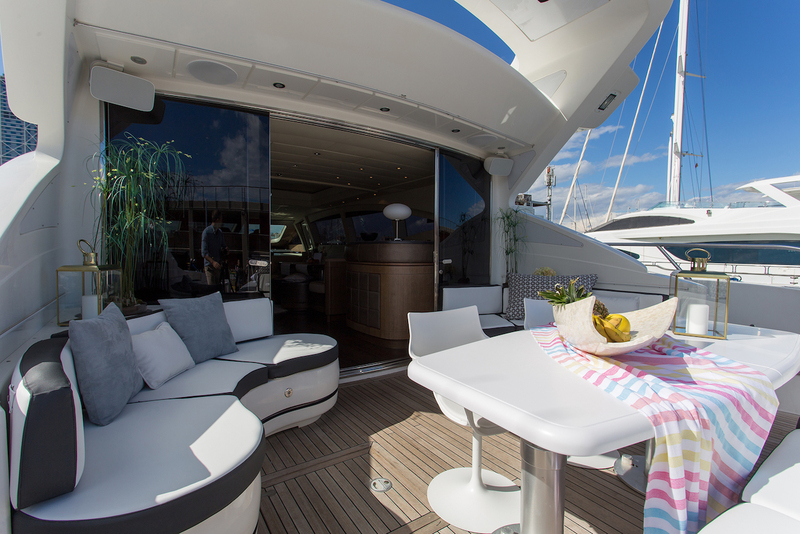 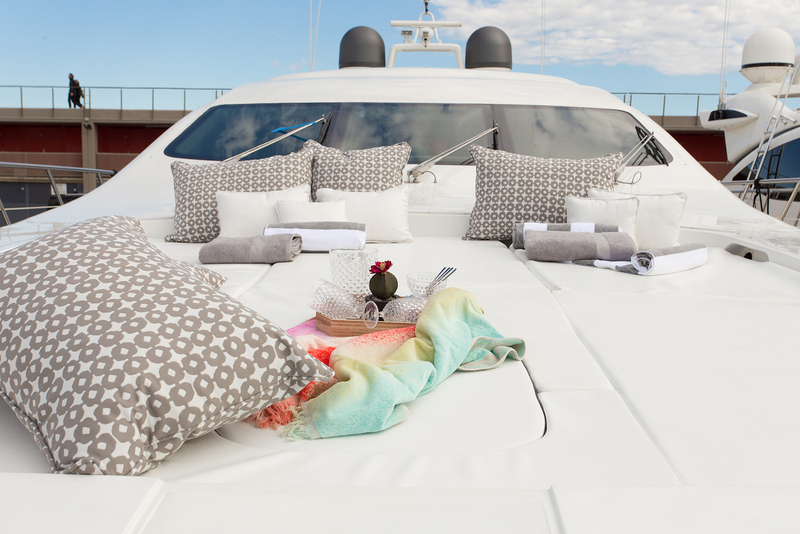 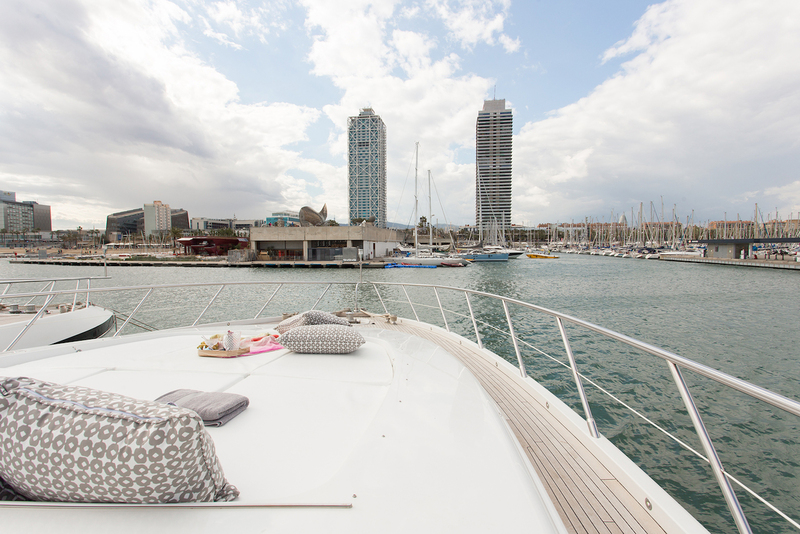 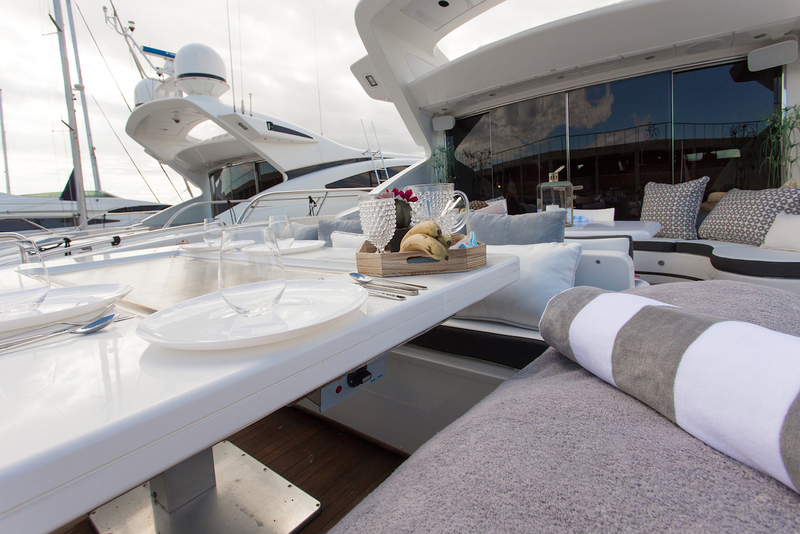 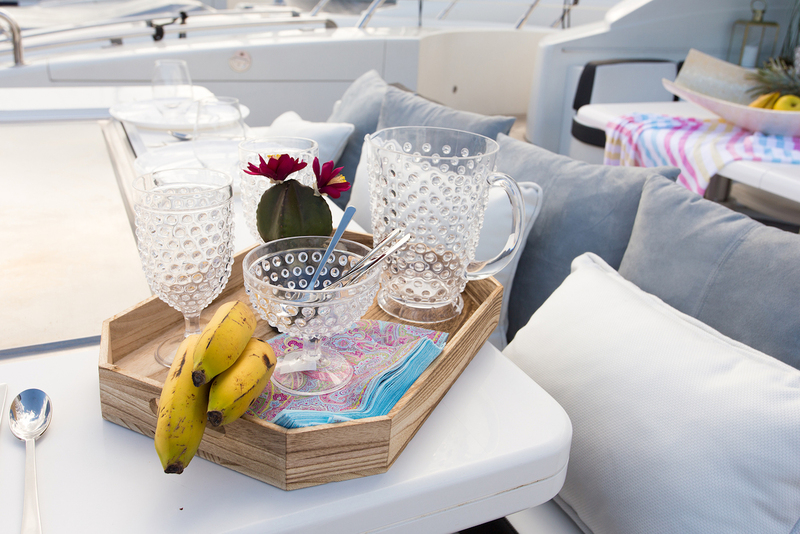 The foredeck provides a second broad sun pad for guests to spread out and enjoy sunbathing in smaller groups. 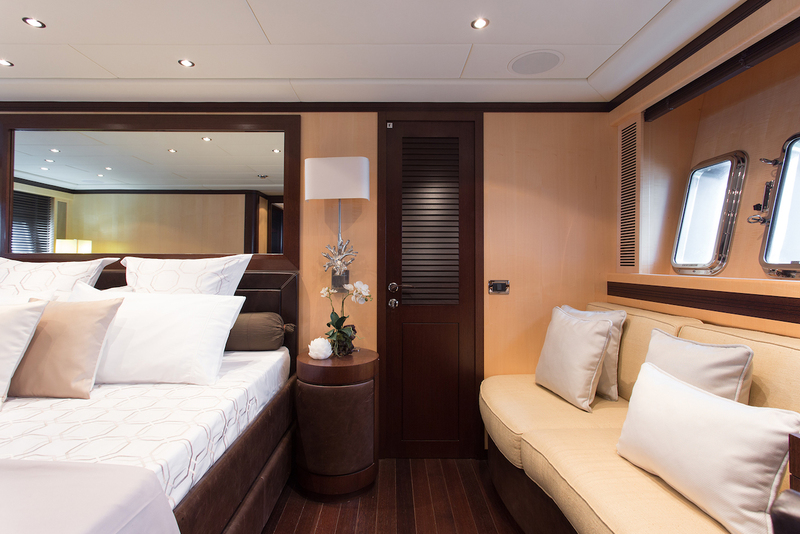 The interior styling uses light fabrics against pale and dark wooden panelling for a bright and contemporary appearance in shared and private guest rooms. 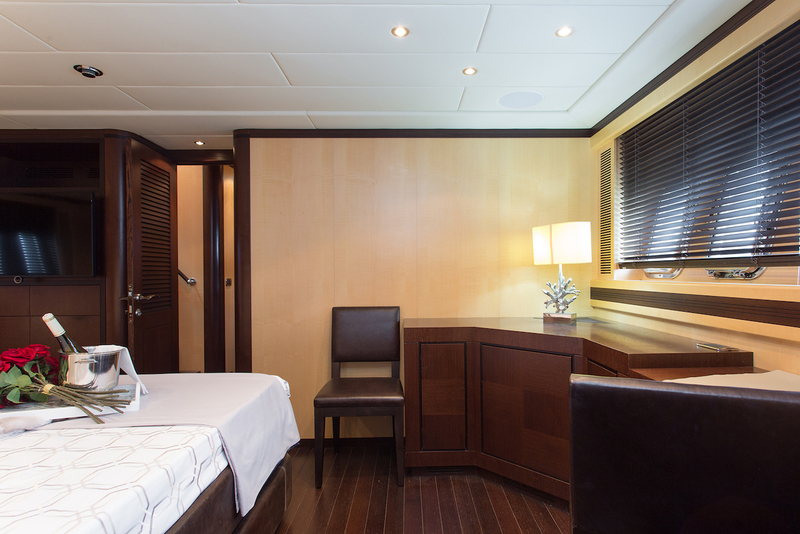 The lower deck hosts the guest accommodation, which consists of a lavish Master suite, a VIP stateroom, two twin cabins and a single cabin plus a Pullman berth. 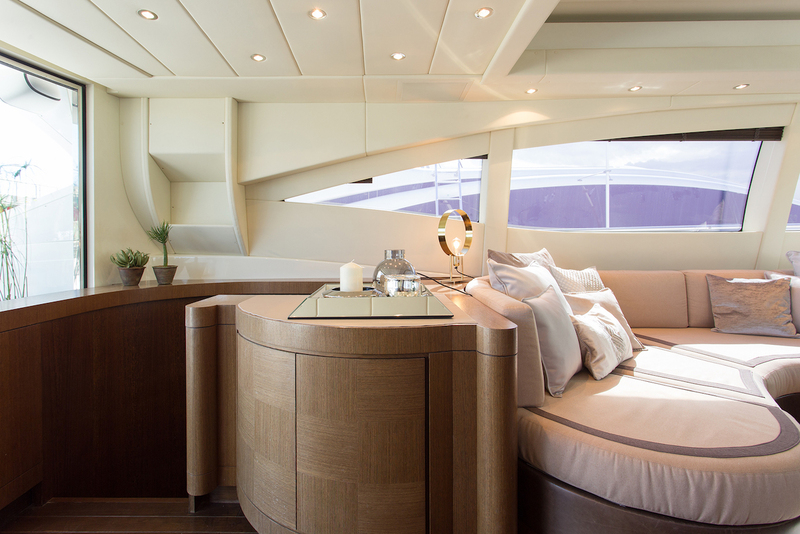 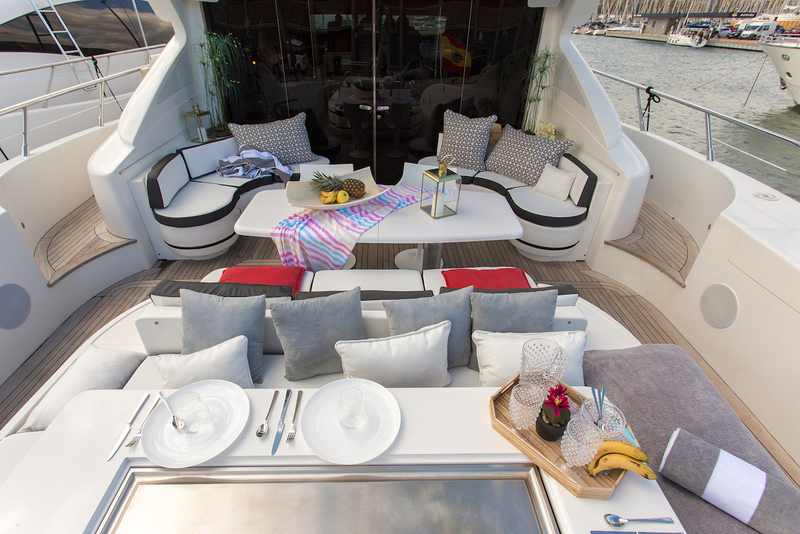 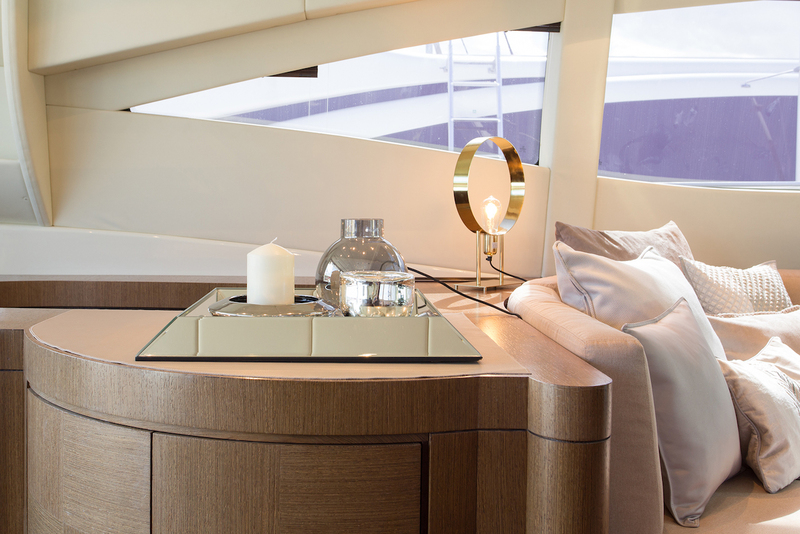 The main deck uses an open-plan interior with a comfortable curving sofa on the port side and the starboard side fitted with a raised dining table around a C-shaped sofa. 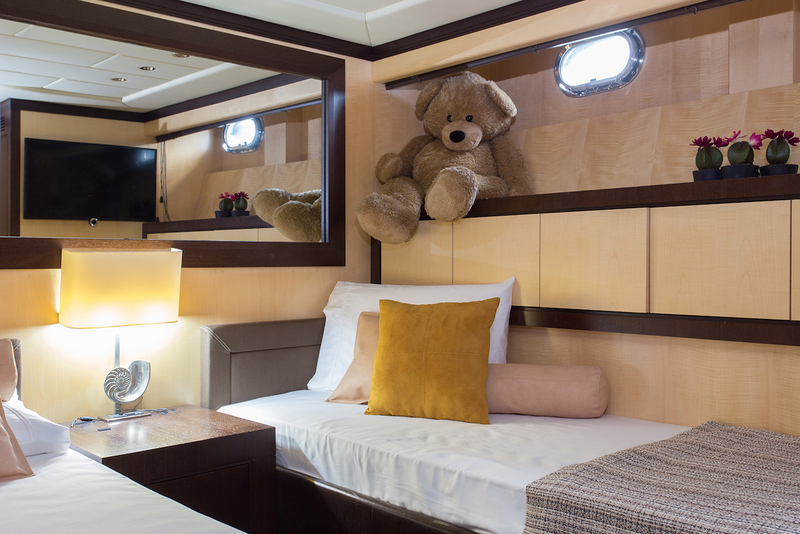 A forward widescreen TV fitted in 2017 provides entertainment while in transit. 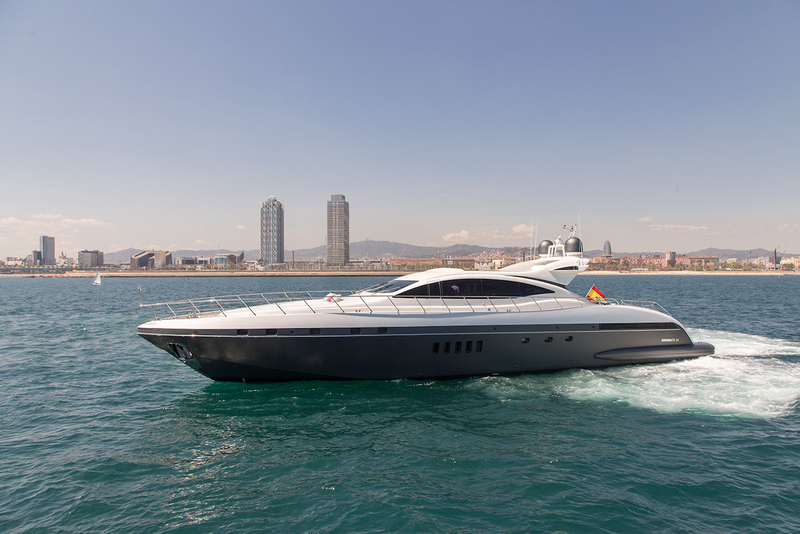 2 x MTU 2,000 HP engines allow open yacht FIVE STARS to reach a top speed of 35 knots, a cruising speed of 25 knots. 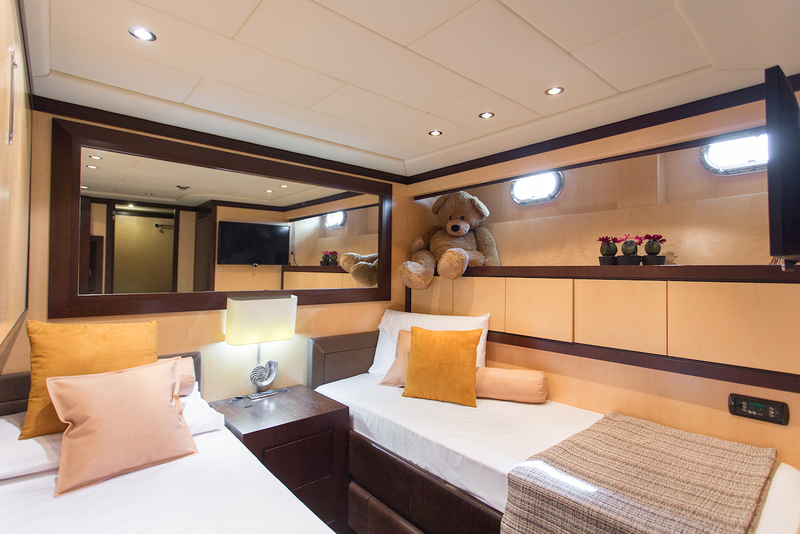 Five cabins offer accommodation for up to ten charter guests on board, including one master suite with a king-sized be, one VIP suite with a queen-sized bed, one cabin with twin beds (two singles) and one Pullman berth, one single cabin and one cabin with two bunk beds. 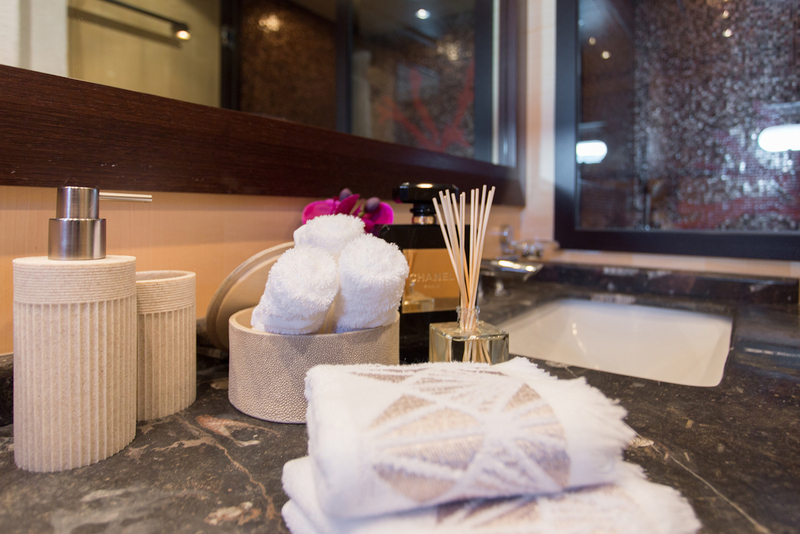 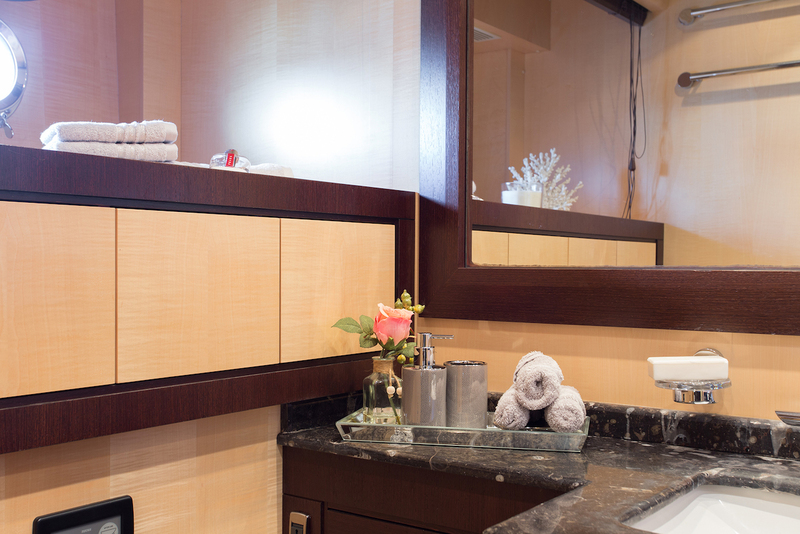 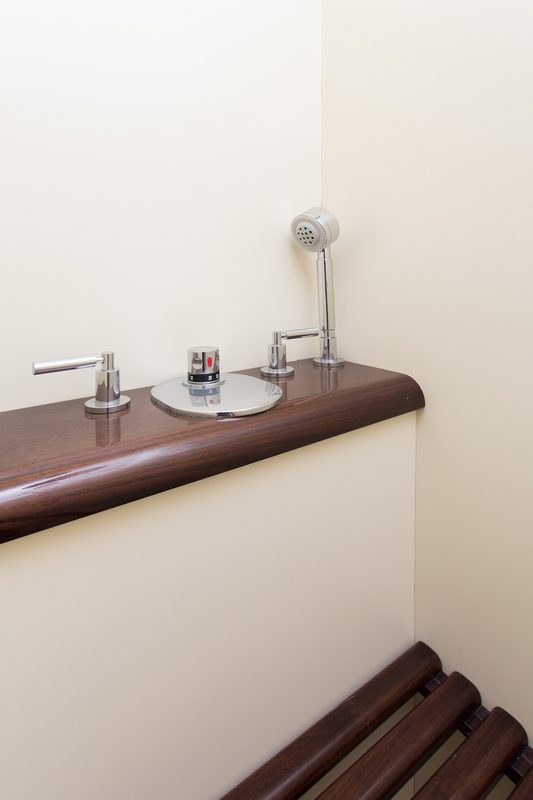 All accommodation offers ensuite bathroom facilities.